Another fun weekend full of exciting events! Here are 27 fun things to do in Calgary on Friday, February 8, Saturday, February 9, and Sunday, February 10. WWE, Winter Cycling Congress, and more. What: This workshop will gather together ten First Nations creators in a process of dialogue, exchange and physical practice. Body Weather cultivates a conscious relation to states of change, porous and permeating. Body Weather considers the body as a constantly changing environment within a greater environment – always in flux. What: The Hitmen face off with the Prince Albert Raiders at Calgary Corral. 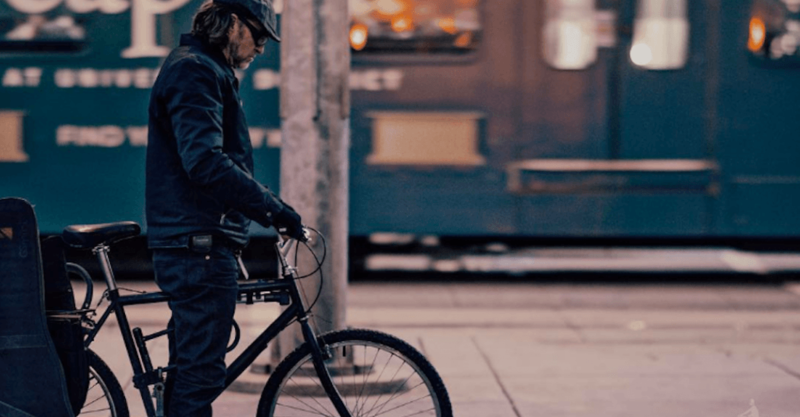 What: The brainchild of the Winter Cycling Federation, WCG is an annual event that brings together likeminded cyclists to discuss the opportunities presented by the ability to cycle in cold-climate cities (like Calgary). The Congress is being hosted at the newly-opened New Central Library, giving Calgarians a chance to learn about how cycling in sub-zero temperatures is possible, and the benefits it can have both for the individual and the community. What: In recognition of Black History month, The Military Museums will be hosting a lecture with a brief history of the role that African Canadians have undertaken in the Canadian Military from The First World War to present. The regiments they served with and the challenges that these early Canadian soldiers faced will be discussed. Following the introduction and to address the current military status, there will be in attendance serving soldiers who will talk about their experiences while serving in the Canadian Military and answer any questions in a panel format. What: Calgary Opera’s Canadian premiere. Bad weather has affected this year’s climbing season, and now multiple expeditions are attempting to summit Everest on the same day. A bottleneck of climbers has delayed the progress of Rob Hall’s group, and he now finds himself near the top of the mountain with his client Doug Hansen, long after the agreed turnaround time has passed. Unbeknown to the two mountaineers, a ferocious storm is brewing below. Meanwhile, further down the mountain, another of Rob’s clients, Beck Weathers, lies unconscious as the storm rages around him. Everest the opera will move, inspire and enthrall you. What: Calgary’s New Horizon Mall will be filled with music and chocolate this Saturday. There will be a Valentines-themed chocolate-making demonstration with Choklat, an Alberta chocolate-maker. 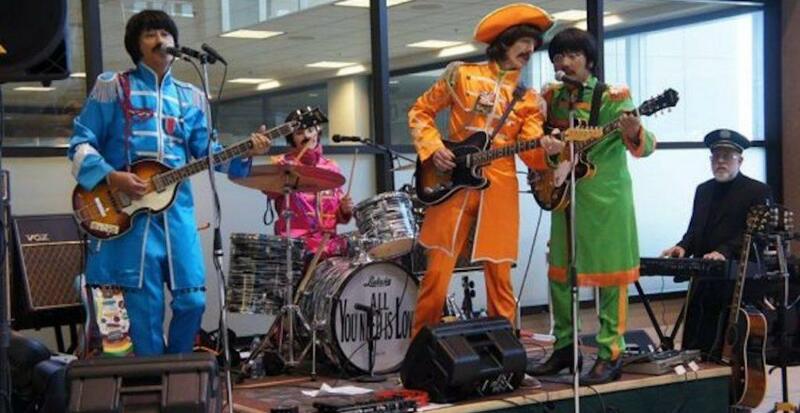 The All You Need Is Love Beatles Tribute Band will take to the mainstage at 2 pm, bringing the legendary tunes of The Beatles to life. The event will also see a craft station for kids and prize draws. What: In honour of their fifth studio album Rally Cry, Hamilton’s The Arkells are going on a nation-wide tour with special guests, Lord Huron. The Arkells have also partnered with PLUS1 so that $1 from every ticket sold is going to support the rights of refugees and vulnerable migrants in Canada through the Canadian Council for Refugees. What: Have a horse lover in the family? Bring them down to Spruce Meadows and watch this competition for FREE in the comforts of the Equi-Plex. Who doesn’t love a little horse charade? Where: 18011 Spruce Meadows Way S.W. 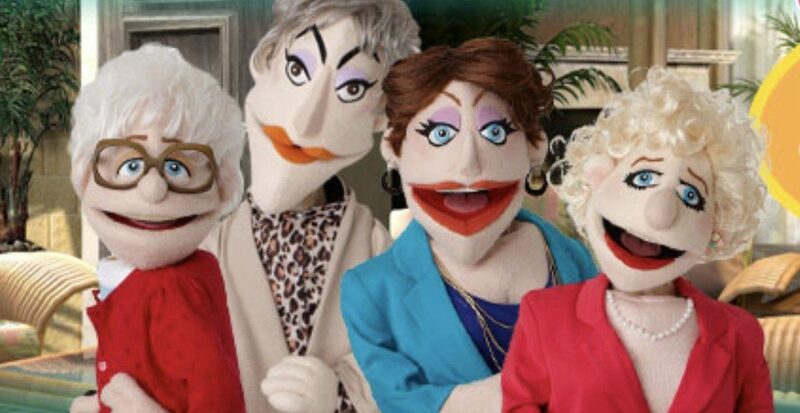 What: The Golden Girls coming to Calgary — but in puppet version. Join Blanche, Dorothy, Rose, and Sophia for a live puppet tribute show that is bringing the laughs and memories back, this February at Bella Concert Hall. What: Adapted from the Oscar-winning movie by Marc Norman and Tom Stoppard, Shakespeare in Love will delight and inspire as only the poetry and art of Shakespeare can. What: In conjunction with her exhibition in the Esker Foundation Project Space, ‘mourning home,’ Glenna Cardinal will discuss her work as an exploration of her deep connection to the loss of her childhood home on the Tsuut’ina Nation to the Southwest Calgary Ring Road. Through her practice, she works to shed her “colonial identity” as an Indigenous woman, while responding to her forced displacement from HOME; a place that was once safe, but is now a land wiped clean of her maternal existence, and returned to the same people that put First Nations on reserves. What: Carisa Hendrix is an entertainer specializing in magic, fire performance and circus sideshow. 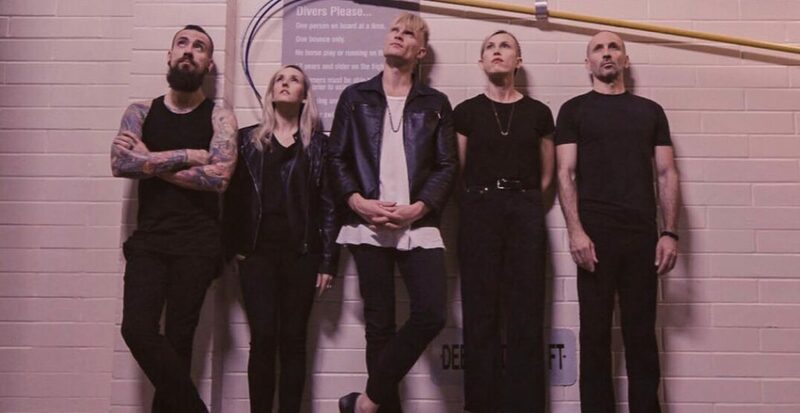 What: Vancouver-based alt-rockers Mother Mother will be making a stop in Calgary for their 2019 North American Dance and Cry Tour. The tour comes after the release of their new 12-track album, Dance and Cry. The tour will be the band’s most extensive to date, as they hit 40 cities across the continent. Featuring special guests Said The Whale. What: Nimesh Patel was recently a writer on Saturday Night Live (where he is notably the first Indian American to have that job) and a recent guest on The Joe Rogan Experience. Before landing at SNL, Nimesh was a writer for the 2017 White House Correspondents’ Dinner hosted by Hasan Minhaj, and consulted for Broad City and TruTV’s Comedy Knockout. What: The New York Times bestselling memoir Heart Berries is the powerful meditation of a woman’s coming-of-age on the Seabird Island Indian Reservation in the Pacific Northwest. Author Terese Mailhot is at the Central Library to discuss her work as part of their Indigenous Writers of Turtle Island Conference Series. Registration required. What: Professional wrestling returns to Calgary as Stampede Corral hosts WWE Live Road to Wrestlemania. Some of the WWE Raw Superstars expected to attend include Samoa Joe, Braun Strowman, Raw Tag Team Champions Cesaro & Sheamus, Alexa Bliss, Asuka, Seth Rollins, Dean Ambrose and more. What: Winter in the Rocky Mountains is truly magical and the Town of Canmore invites you to come celebrate this beautiful season with them. For two weeks there will be a variety of snowy, family friendly indoor and outdoor events happening throughout the town, such as Ice Carving Competitions, Log Sawing Competitions, a pooch parade, Snowy Owl Kid n Mutt Races and more. What: The Hitmen hit the ice against the Moose Jaw Warriors at Scotiabank Saddledome. What: YYC Hot Chocolate Fest is back again for another year, raising money for Calgary Meals on Wheels, while giving you the opportunity to sip upon a variety of creative hot chocolates throughout the city. What: If you have a passion for the outdoors then this is an event you should definitely consider checking out. From gear to accessories to guides and more there are shows, events and exhibits that the whole family will enjoy. What: The Loose Moose Theatre Company makes going to theatre an experience that is truly magical for children 4 – 10 years old, as well as fun and entertaining for parents. A selection of fictional and fanciful stories about the origin of various things including The Elephant’s Child (How the Elephant Got Their Trunk), The Cat That Walked by Himself, and How the First Letter Was Written. What: The event is a chance to nurture your inner Scot, come to a skating party with a spirit of Scottish fun and fortitude wearing tartans and kilts. What: Featuring the music of Justin Timberlake, Lester Young, Paul Anka, Tony Bennet and more. The first half is in the style of the great Jazz Orchestra with strings recordings, and the second covers music from Motown to modern.